As a Colorado native, Russ Overy has enjoyed skiing, mountain biking, hiking and fly-fishing since he was a young boy. Because of his active lifestyle, Russ understands the importance of helping his patients improve physical health. “Everyone, regardless of age or fitness level, can set and achieve goals that allows them to enjoy their passions,’” Russ notes. 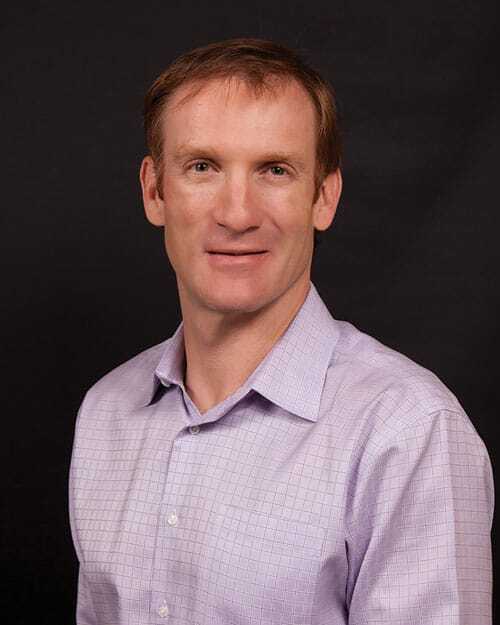 Since completing a doctorate in physical therapy, Dr. Overy has focused on continuing his education in manual (hands-on) techniques supported by current research. He is an orthapaedic fellow and is board certified as an orthopedic clinical specialist. He enjoys keeping abreast of current best practice research while maintaining an adjunct position with his alma mater Regis University. Russ gives back to the physical therapy community by sharing his passion for therapy as a clinical instructor. When I sit down with a patient, I suggest that our goals can go beyond just ‘getting better’. With education, a patient can be empowered to gain better function and prevent future injuries.